Brownells, Inc. has posted an excellent infographic on their Facebook page. It shows things like the decibel level of a gun shot, the average decibel reduction by use of a suppressor, and the impact on hearing of shooting with only a suppressor. Given the nonsensical approach taken by media like the New York Times editorial page and the lies from anti-gun groups like American for Responsible Solutions, this is instructive. While wearing hearing protection such as ear muffs and ear plugs is essential, the combination of a suppressor plus muffs or ear plugs is even better. This goes to illustrate when the Hearing Protection Act is not an effort to spur sales for the gun industry but an effort to both reduce noise pollution and to promote public health. 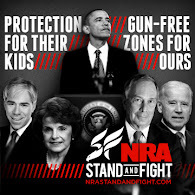 While the passage of the Hearing Protection Act would spur sales that is merely incidental in my opinion. As I wrote earlier this year, can you imagine waiting 272 days for government approval to use a product that improves health and safety? Could you imagine the fine OSHA would levy a business if it waited that long? I wish I could get my suppressors checked for dB suppression. With subsonic ammo all I hear is the action cycling on my 300BLK AR. The 5.56 AR won't cycle on subsonics, but I still hear nothing but a slight "POP". And my 338 Lapua with muzzle break is louder than 160 dB. In fact, it's almost painful even doubled up. Normally I take the brake off and put on the suppressor and STILL double up. Then it's downright pleasant. nicely explained about suppression with neat infographic, The suppressor gives good concentration on aim. 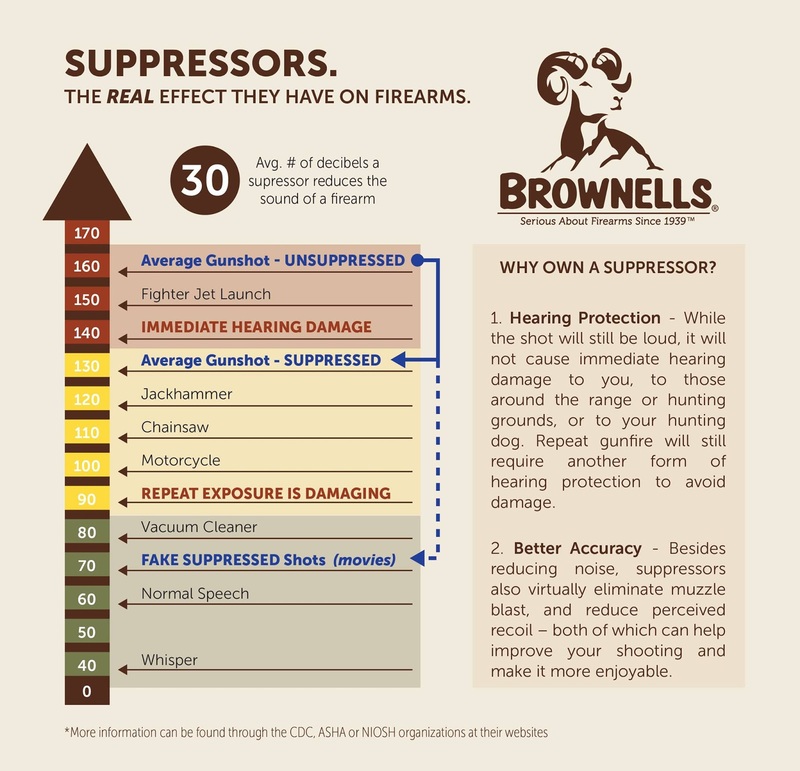 Thanks for sharing infographic on suppressors and hearing. Warning Shots Are Now OK For Police? Huh?